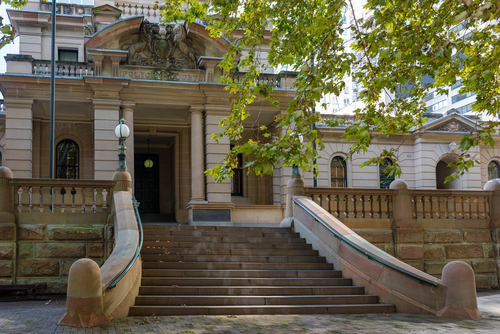 Sydney Criminal Lawyers® is located just around the corner from Sydney’s Central Local Court. Many criminal cases start in Central Local Court including bail applications and short ‘mentions’ when the defendant is in custody. The more-serious cases then progress towards ‘committal hearings’ – which are Local Court hearings to decide if there is enough evidence for the case to go to a higher court such as Downing Centre District Court. The defence team at Sydney Criminal Lawyers® is vastly-experienced and highly-respected in Central Local Court. We have a proven track record of producing outstanding outcomes in this busy courthouse. We offer ‘fixed fees’ for many services including bail applications, guilty pleas, committal hearings and defended hearings and we guarantee that you will be represented by a Senior Criminal Defence Lawyer in court. Call us 24/7 to arrange a free first conference. If you are driving, we are happy to provide you with free visitor parking within our building.